Nashville is a songwriter’s town. Literally thousands of people come annually to try their hand at the music business, but only a few can actually make a living doing what they love best. On this tour we will be able to provide a once in a lifetime experience by offering a private sedan tour of our city accompanied by a singer/songwriter who is in fact “Living the Dream”. This 3 hour tour will showcase highlights of “Music City” as seen through the eyes of a working singer/songwriter. There is also a private performance by your “Singing Guide” at a picturesque spot along the way. The guide will give insight into the songwriters craft and explain how a song gets from Concept to hit recording. This is truly an “ONLY IN NASHVILLE” experience. A private sedan & a singer/songwriter will pick-up at your hotel and return you to your hotel after the 3 hour tour. 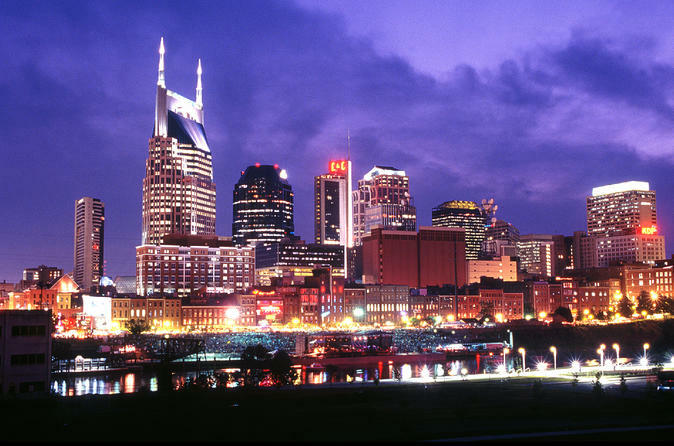 You will see the music highlights of Nashville above and beyond the regular sights on a standard city tour. There is also a private performance by your “Singing Guide” at a picturesque spot along the way. The guide will give insight into the songwriters craft and explain how a song gets from Concept to hit recording. The guide will take you to one of Nashville's Honky Tonks and you can end the tour there or return to your hotel.